This is a continuation of my Previous Post where I applied self-forgiveness on the backchats I had experienced when participating in the Caregiver personality. I realized that if the Caregiver cares about others because it uses his ‘good intentions’ to feel good through positive experience, then there is a lack existing within it. By caring about others, the Caregiver does not care about self, because other people’s interests, wants and needs go first and self ends up being neglected. So, I can say that I have separated myself when it comes to living the word Care within and as self by leaving my wants and needs aside. It’s like I have participated in the belief that everyone should care about others, so in caring about others, I care about others and I receive care by others, without considering that one can develop Care as one without expecting it from others. Okay, so now I am going to write down some self-forgiveness statements in relation to the the separation I have created with the word Care in order to see how I can start living and expressing this word within myself. I forgive myself that I have accepted and allowed myself to have cared about others through believing that in caring about others I was going to receive care. I forgive myself that I have accepted and allowed myself to believe that the word Care is liveable through others, by doing things for others and placing their needs and wants before mine. I forgive myself that I have accepted and allowed myself to not see beyond this belief I have duplicated from previous generations in my family. 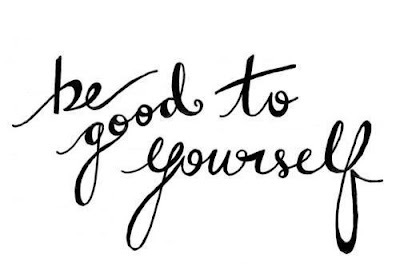 I forgive myself that I have accepted and allowed myself to believe that feeling good when I get recognition by doing things for others = They care about me. I forgive myself that I have accepted and allowed myself to have thought that people don’t care about me when I don’t get a positive feeling after I have done something good for them that I previously charged through positive backchats. I forgive myself that I have accepted and allowed myself to have expected to get something in return when in the past I have 'cared' about others through buying things for them or doing them favors. I forgive myself that I have accepted and allowed myself to not care about my personal process, because I have ignored many points existing within myself that I can take responsibility for, but instead I ended up in self-neglect. I forgive myself that I have accepted and allowed myself to not care about my responsibilities and instead, procrastinate and end up in the perpetuation of patterns that do not support myself as this body within this physical reality. I forgive myself that I have accepted and allowed myself to no care about my physical body in terms of what I eat/consume, such as food and other substances that do not support my physical body and mind. I forgive myself that I have accepted and allowed myself to have not developed self-care, because I think it is easier to care about others than caring about self. I forgive myself that I have accepted and allowed myself to have preferred the easy way instead of the hard way. I forgive myself that I have accepted and allowed myself to not realize that the real change happens when one takes the hard way, meaning; walking through that which we resist. I forgive myself that I have accepted and allowed myself to have deliberately ignored myself even when I am aware of what’s going on and how I can take responsibility for myself. When and as I see myself not taking responsibility for myself when I have already become aware of it, I stop and breathe. I realize that in not taking responsibility for myself I am ignoring myself, therefore, I am not caring about myself within this process of self-change and self-empowerment. I commit myself to stop and breathe when I am resisting to take care about myself when it comes to taking responsibility for certain points that emerge in my reality, in order to bring myself back here, release the resistance and direct the point whether through writing it or speaking it out loud. I commit myself to stop ignoring myself when it comes to directing myself into my utmost potential. When and as I see myself believing that in doing something good for others, people will care about me, I stop and breathe. I realize that what I need is not to expect or receive something in return, but to develop self-care within and as myself. I commit myself to care about myself first instead of placing other people’s interests and wants before mine. I commit myself to stop thinking and believing that people caring about me = self-care. When and as I see myself not treating my human physical body well, through the food I eat and substances I consume, I stop and breathe. I realize that care is not only about the mind system, but also about how my physical body as my vehicle in this reality functions. I commit myself to stop the self-abuse when it comes to consuming too much food/substances that do not support my physical body as this only vehicle that I have to create change in this physical reality.